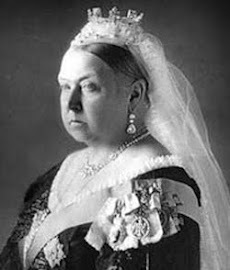 The Victorian Peeper: Glimpses of "Young Victoria"
Hot off the set, here are a few still photos from the upcoming film Young Victoria, produced by Martin Scorcese and starring Emily Blunt as the queen and Rupert Friend as Prince Albert. 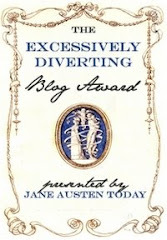 For more information, read my previous posts of February 11, February 16, February 23, and March 4; you can read a hilarious account of being an extra in the movie at Dan's Media Digest. 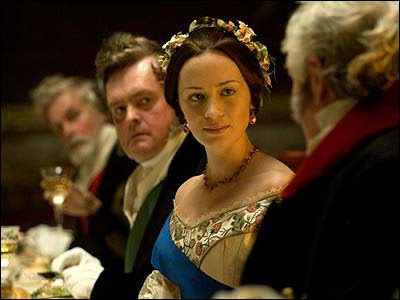 Above: Emily Blunt as Queen Victoria. 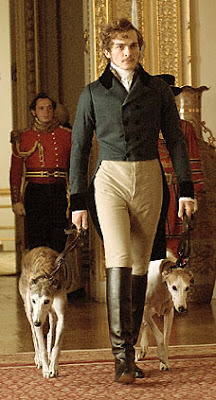 Above: Blunt with Rupert Friend as Prince Albert. 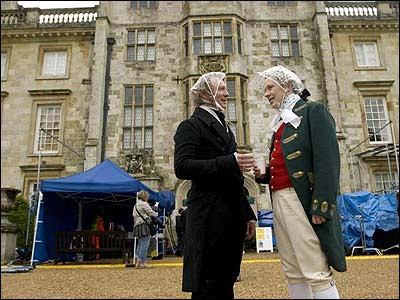 Above: Two unidentified actors try to keep the rain off their wigs while waiting to shoot their scenes. 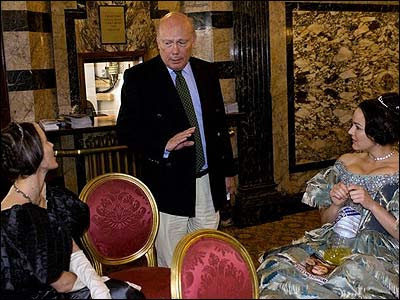 Above: Princess Beatrice has a non-speaking role as a lady-in-waiting; her mother, the Duchess of York, is one of the film's executive producers. 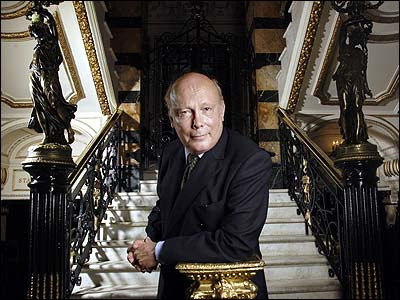 Above: Screenwriter Julian Fellowes chats with the actors. 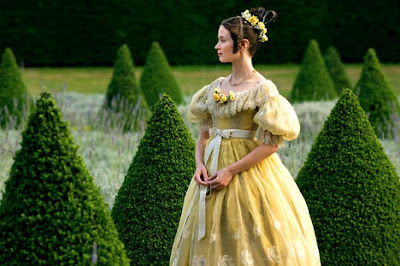 This films looks good. Thanks for posting.